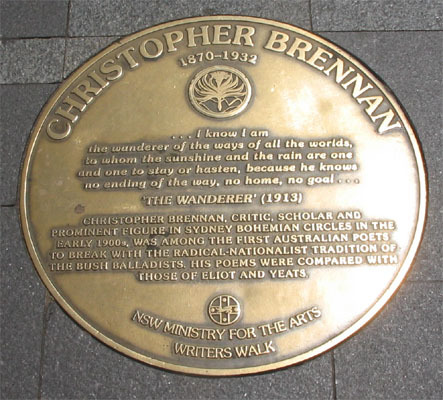 Christopher Brennan plaque, Circular Quay, Sydney. This page contains a single entry by Perry Middlemiss published on April 26, 2007 8:53 AM. Poem: The Tree of ANZAC by C.J. Dennis was the previous entry in this blog. 2007 NSW Premier's Award Shortlists is the next entry in this blog.